We tend to use prayer as a last resort, but I think God wants it to be our first line of defense. 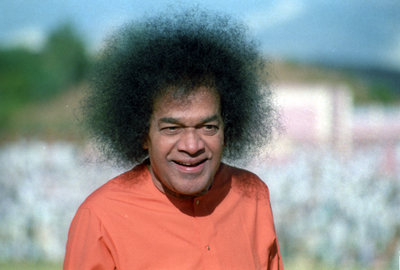 To better understand that, we rewind the beautiful story of the sweet relationship between Swami (Bhagawan Sri Sathya Sai Baba) and His students right to the very beginning. It was in the late sixties and Swami would spend most of the year at His ashram in Bengaluru (Bangalore then), in Brindavan, Whitefield. The reason for that was obvious - on 9th June 1969, a men's’ college had been started at Brindavan and Swami had decided to spend more than 75 percent of His time with the students in whom He placed His faith for the building of the golden Sai era. 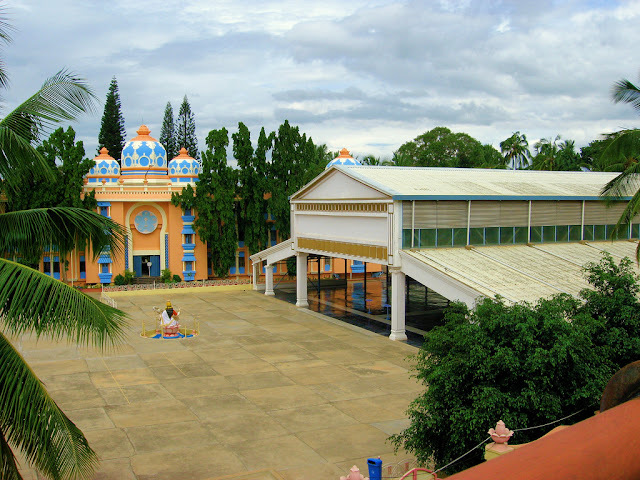 The old Brindavan was a haven of divine proximity for Swami's students. Like the spring which is the beginning of every great river, the Sathya Sai educational mission too began in a small and humble manner. The classrooms were small and cramped and the shed beside Swami’s bungalow served as the hostel for the boys. Swami lived so close by that He would often walk into the ‘hostel’ on surprise visits and spend time shaping and chiseling the heart and minds of the boys. On many occasions, He would Himself walk amidst the sleeping boys and wake them up for Suprabhatam (early morning prayers) and guide them in everything - from tending to cows and rolling chapaties in the kitchen to gardening and taking care of the deer in the compound. The number of boys enrolled was very small but it began to grow soon. Who would not want to live with the Master of masters? The classrooms and hostel became woefully inadequate and Swami decided to get a college building built. Once Swami makes a will, nothing ever changes it. Soon, a magnificent edifice shaped like a gigantic dam, probably symbolic of the potential it held within its walls, came up in months. It was late Col. Joga Rao, an ardent devotee and a retired civil engineer, who supervised the construction. This is the setting for our current story. A little detour from our main story in order to delve on the theme of this essay! A wise doctor knows from the beginning that he only gives medicines while it is God who heals. That humility makes him turn to God right in the beginning and he himself functions simply as an instrument. He chooses God as the first resort rather than the last one! While it is easy to understand the doctors’ example in terms of how they turn to God as the last resort, we do not realize that we often commit the same blunder in our lives too. Whether it is the decision of making a financial investment or choosing a relationship; picking the right career or dealing with an illness we consider it as a sign of strength to march ahead without seeking help. We do this without realizing that when we seek God’s help, we are actually tapping into an infinite resource within ourselves. Prayer is definitely not a sign of weakness. It need not be the last resort. And yet, time and again, we turn to God after every effort made has failed. It is akin to offering the leftovers of a feast to the Lord where the food is comparable to our skills, talents, energies and finances. No wonder then that Swami always has taught us to do Brahmaarpanam (food prayer) before partaking any meal. Please do not mistake me. I am not in the least suggesting that we do not put in our effort. Rather, the focus is on the attitude behind the effort! The magnificent, dam-shaped, college building that was constructed to serve the students at Brindavan. Now I continue where I had left off. Swami got the college building constructed and instructed the same engineer to come up with a proposal for a hostel building also. Col. Joga Rao implicitly obeyed the instructions and drew up all the plans for the construction of the hostel building. The shed in which the boys were staying was too small and right next to it was a huge water tank. The only possible place where the hostel could be constructed was in an empty plot of land adjacent to the new college building. Having made all the plans, he approached Swami and sought a date for the laying of the foundation stone. The evening before the actual ‘ground-breaking’ ceremony could take place, Swami arrived at the shed where the boys were staying. He informed them about a new hostel coming up with all the comforts and conveniences. There would now be ample space to stay for each student. Even as Swami told all this with sparkling eyes and a heart that rejoiced at the fact that the boys would become comfortable, the boys themselves were downcast - a new hostel near the college building would mean that they would be staying at least 300 meters away from the beloved Swami. That would reduce the frequency of all the sudden Divine visits they now enjoyed. Swami, we do not want any new hostel. We can always adjust in this space as long as we are assured of proximity to you. If we go to the new Hostel, we would be far away from Swami’s home. We just do not want to go away from Swami! If Swami is so particular about the new hostel building planned next to the College, then Swami should have a new home constructed right next to the proposed new hostel. Among the thousands of letters Swami receives, there are a few that have changed the course of 'His'tory! Swami looked at the principal, Sri Narendar and asked him what he thought about the letter. He replied that Swami knows the hearts of the boys. They had left their parents and had come only to be with Swami. God, though allergic to the word ‘impossible’, merely smiles at those who use it. Swami simply said that a hostel could easily be built in place of the tank that existed there! He then went on to explain to an amazed Joga Rao as to how the construction should proceed. And today, the hostel stands over the same land where a huge tank existed. And Swami has visited the boys at the Brindavan hostel on a number of times! With God as the first resort, there is no need to resort to anyone or anything else! An aerial view of the hostel that stands right next to the darshan hall in Brindavan. The hostel has a huge basement floor, a reminder of the tank on which it has been built. Prayer is not something that is to be made only in times of trouble or distress. There is the story of a ship captain who used to pray daily as he steered his ship. Everyone often wondered as to why the captain used to pray so much when the sailing was so smooth. The captain said nothing but continued his practice of regular prayer. Dukh Mein Sumiran Sab Karein; Sukh Mein Karein Na Koi. Jo Sukh Mein Sumiran Karein; Dukh Kahe Ko Hoi? A picture of a Poornachandra Session in progress in the 1990s. It was sometime in the year 1994 or 1995. All the students in the Institute boys’ hostel were excited. Swami, as they lovingly called Sri Sathya Sai Baba, had agreed to grant them all a “PC session.” The term PC stands for “Poorna Chandra”, the auditorium (one of the largest pillarless ones in Asia) at Prasanthi Nilayam ashram. The PC session, like the Trayee session, was a special session which Swami granted only for the students and teachers of the University. And just like in the Trayee session, many interesting things would happen in a PC session and Swami would speak ‘informally’. That PC session turned out to be unforgettable in terms of the lessons it provided. As the boys entered the auditorium, they saw multiple piles of so many things heaped up. They quickly took their places to sit on the carpets spread on the floor. And then began the excited talk. Apparently, Swami had decided to gift all the boys with something. Everyone was discussing about what the gifts probably might be. Swami arrived on the dais and there was a hush that fell on the entire gathering. He gently glided to the end of the stage and descended. Moving to the first pile, He picked up the first thing that His hand could get hold of and threw it to the boy nearby. It was a canister of shaving foam. Then, He summoned some boys and told them to simply give away one each of the items to all the boys gathered. The heaps of objects turned out to be toiletries and each boy was getting something at total random. While one got a toothbrush, one got a shampoo while yet another got a deodorant stick. The ‘luckier’ ones got perfume bottles and electric shavers. Within moments, the silence was gone and there was loud murmur that developed in the auditorium as each student looked at what the other got and compared gifts. Naturally, those that got ‘mere toothbrushes’ envied those that got the electric shavers. But those boys too were not free of envy - they longed for the perfumes. It was not as if those that got perfumes were happy. The bottles were only 100 ml and would soon get exhausted. So, they had gifts which they could not use if they wanted to preserve the memory. In short, though all were happy in some way or the other, all were sad too in a way! "Why did you abandon me when I needed you the most? "God replies lovingly"Child! Those times when you see only one set of footprints are actually the times when I carried you!" In spite of knowing this story, there were times when I was convinced that I was absolutely alone in life. And I felt that the single set of footprints were definitely not of His lotus feet, but of my own weary soles! I prayed to God,"Swami, I just do not believe that you are carrying me now for I feel so much pain and depression. Is that how one feels when one is carried?" This is the story of the speech of my life... the story of my life with Sai in fact! This happened many times but like the proverbial passing clouds, everything would soon clear and days would get brighter. But then came the mammoth cloud, so huge that I felt this time the clouds were there to stay! It is about this 'climactic' period which I was made to weather that this story is all about. More than anything else, this episode seasoned my life with the realization of God's omnipresence and Swami's (Bhagawan Sri Sathya Sai Baba) love for me. "Why should I come and sit outside? There is no program today!" And so, in that academic year alone, we had put up about fifteen program. 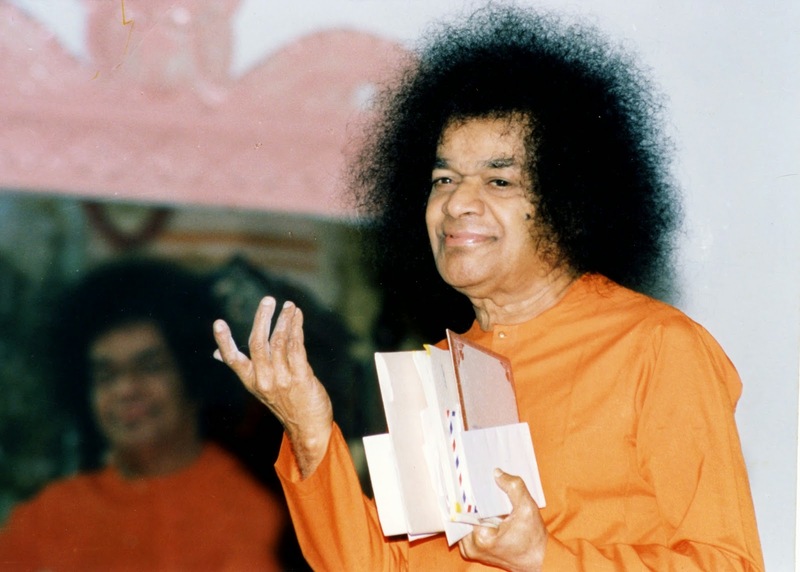 In fact, it was Swami's enthusiasm towards us that ignited the large number of programs that were presented (and continue to be presented) in the divine Presence by various Indian states and other countries during their respective Parthi Yatras or pilgrimages. This was the setting for my life-changing episode. Since I love public speaking and was involved in dramatics, I was often part of every cultural program that was being presented to Swami. I was doing well on the academic front and I was quite popular among my friends in the hostel. I did fairly well in games and was the shuttle badminton champion for that year. Why I am telling all this is just to show that one may seem to have everything in life and still be unhappy. My God! Why was I unhappy? When I think back today, I cannot put a finger on the exact reason but I used to be very sad most of the times. And the major reason for this was my attachment to friends.What do I mean by that? Well, I thought that I was a fast friend to quite a few people. I went out of my way to help them and make them feel special. That was fine. The problem came when I expected them to treat me in the same way - that too in a manner I was expecting them to! And this expectation was very very strong. As a result, I used to feel very bad. At this time, I decided that since God was my only true friend, I would look to Him for solace and support. I wanted to extend my arm of unconditional friendship to Him and wanted Him to extend His. I began to curb all my feelings and interactions with friends as much as possible and confided everything to Sai,the resident of my heart - my joys and sorrows, my successes and defeats. This came as a relief but still the disappointments and hurts from my friends continued. Life went on this way and I am sure many of my friends wondered what on earth was I sad about. And I myself had no answer. The sadness was deep within and it was a kind of dissatisfaction in the search for some permanence. "Are there any boys who wish to speak?" "Aren't there any other boys? This boy alone speaks always!" "This is the last time I'll raise my hand. I extended my hand in friendship to you and you do not want me to speak in your presence!" A childish reaction indeed, but that was what I felt then. Christianity is a fascinating religion in many ways. One of the special things about Christianity is that a lot of it is derived through the writings of the apostles of Christ. The religion offers the aspirant different perspectives or views of the same master, Jesus Christ, through the eyes of many. Thus, we have the Gospel according to Mark, Gospel according to Matthew, Gospel according to John and so on. Each is the Truth in itself and we battling by quoting one against the other would be akin to blind men fighting over their respective descriptions of the elephant! 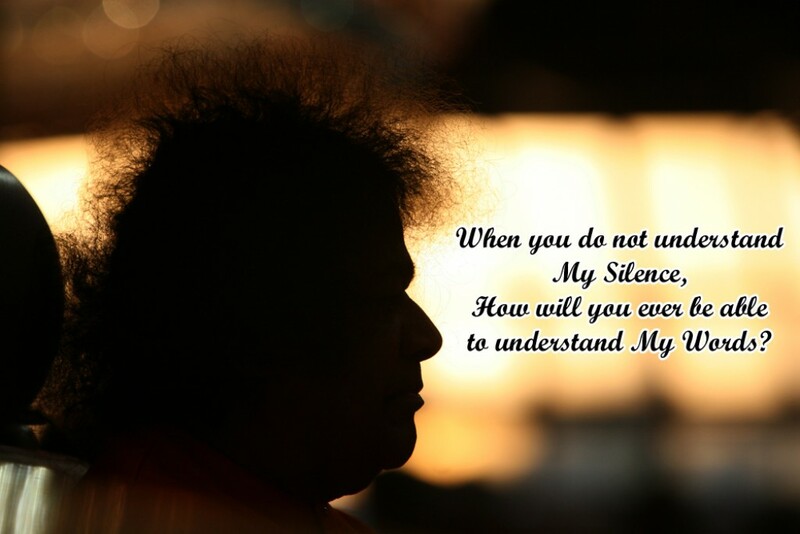 “Munde Munde Matir Bhinnah”, says my Master and Lord, Bhagawan Sri Sathya Sai Baba. In spirit, this translates into ‘there are as many interpretations of the Truth as there are heads’ because everyone is allowed an opinion. 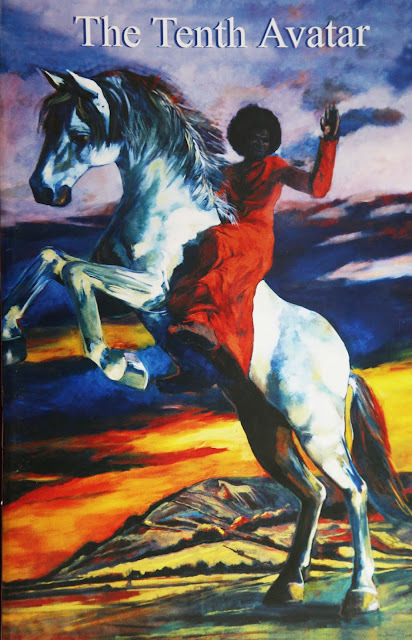 And so, when I read through the description and interpretation of the same master through ‘different heads’, rather than get confused and upset at things that do not match my perspective and opinions, I celebrate the grand diversity and beauty of the Master. The Master’s concern is always for the individual and therefore, there are as many ways to God as there are individuals. The Master allows the aspirant to seek a path most suited for him/her to progress spiritually. Thus, I try to enjoy the perspectives and interpretations for none of them are wrong - all are right in their own sense because, ultimately, there is only One Truth and nothing else. Among the different things I was reading, one subject that interested me tremendously was that of the second coming of Christ. Why did that interest me? Simple. I would love it if God were to come on earth in physical frame once again! I have been blessed to have enjoyed the proximity of dear Swami and I know how wonderful, holy, elevating, uplifting, sanctifying and fun Divine company can be. You just have to search the term, “The Second Coming” on the internet and, in a span of seconds, you will see nearly a billion results hit your computer screen! That should suffice to say that it is an intensely debated and discussed topic. There are interpretations galore. 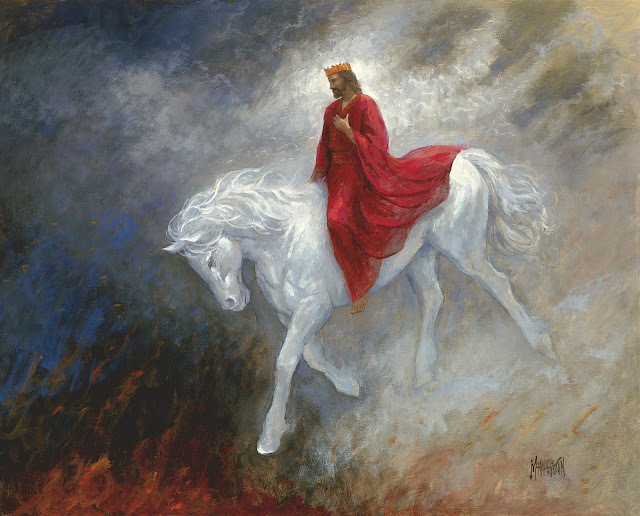 So abundant were the interpretations offered that I decided to go to the actual Christian ‘Book of Revelation’, the final book of the New Testament, credited to the apostle, John. Again, there are so many versions and I referred to the King James’version of the Bible, chapter 19. What I found there simply thrilled my heart. The reference to the descent of the “King of Kings and the Lord of Lords” was so wonderful. of the artist - Alexander Prowse. According to the Hindu concept of time and ages, God incarnates from age to age to establish righteousness on earth. In the present Kali age, the incarnation is that of Kalki, a Kshatriya riding a white horse. The similarity of the description struck me and I remembered that one of the photographs Swami materialized was of Himself riding a spotlessly white horse! Many artists and painters have depicted Him that way too! Also, "faithful and true" indeed seems like a translation of the word "Sathya". What is the distance between God and devotee? The legend of Gajendra, the elephant king, from the 8th Skanda of the Bhagavatha Purana offers us a very interesting answer to how far God is away from us. The story goes that the bull elephant, a devotee of Lord Vishnu, once entered the waters of a cool lake on Mount Trikuta. A crocodile which lived in the same lake caught him by the leg and began to drag him into the deeper parts of the lake. Gajendra fought with all his might but a crocodile's strength in the water is ten times greater than its strength on land! As Gajendra was dragged in, he began to fight with all his might. Legend goes that the battle went on for a thousand years at the end of which, Gajendra trumpeted in pain and helplessness until he was hoarse. Then, he remembered his Lord and called out to Maha Vishnu. Instantly, Vishnu arrived on His mount, Garuda, decapitated the crocodile with the Sudarshana Chakra (the discus) and liberated Gajendra. 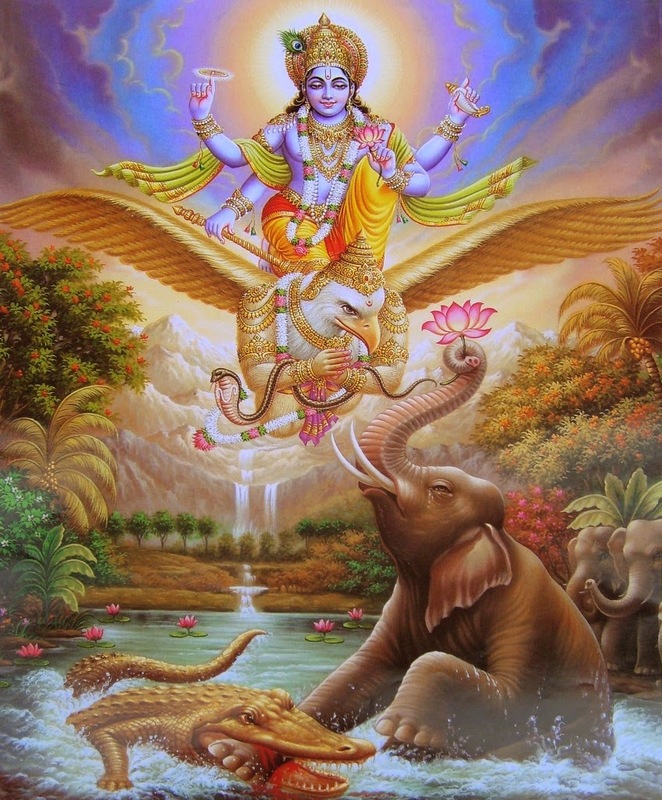 The moment Gajendra called out to his Lord, Maha Vishnu was there in a trice. As long as Gajendra fought on, Vishnu watched on, respecting the elephant-king's choice to use his own strength. But the moment he surrendered, Vishnu was there in a trice. That story teaches us that God is just as far as our call can reach! That was the discovery of a little boy too. Amey Deshpande realized that, no matter what, his God, his Swami is always within earshot of his cries. 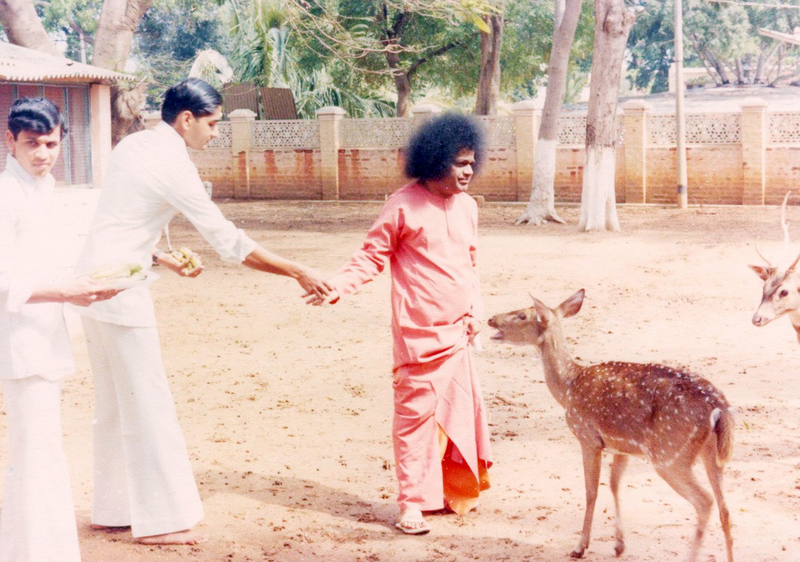 Amey was devoted to Bhagawan Sri Sathya Sai Baba since his birth as he was born into a family devoted to Swami. He was enrolled into the Bal Vikas classes and he became a role model for all the other children - He would sit straight for hours, chant all the shlokas and mantras, participate in bhajans and play the tabla. Such was the praise heaped on the child by the elders that he sincerely felt that he was several cuts above the rest when it came to discipline if not devotion! In 1984, as a 5-year old, Amey came on a pilgrimage to Prasanthi Nilayam, the abode of supreme peace. Like Amey's understanding of Swami, Prasanthi too was very different back then. The schedule revolved entirely around Swami's routine. The most sought-after times were the Darshan times when Bhagawan would gently walk, nay glide through the seated devotees, ladies on one side and gents on the other. He would speak to a few, take letters from some others and call the lucky ones for an 'interview'. An 'interview' was not a Q&A session though it could be that also. It was a personal interaction between the devotee and Swami in the interview room where healing, transformation, miracles and counselling took place. Nature is divine... Our nature is divine... See the connect? 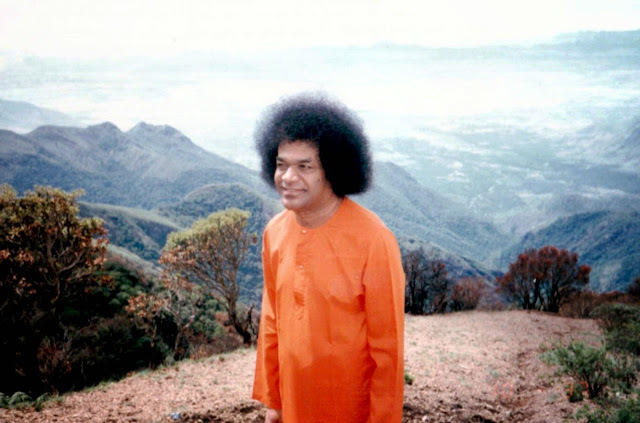 (Pic of Sri Sathya Sai in the sylvan settings at Kodaikanal). However, none of the other animals and birds cared about what appeared to be the end of the world for the mouse. 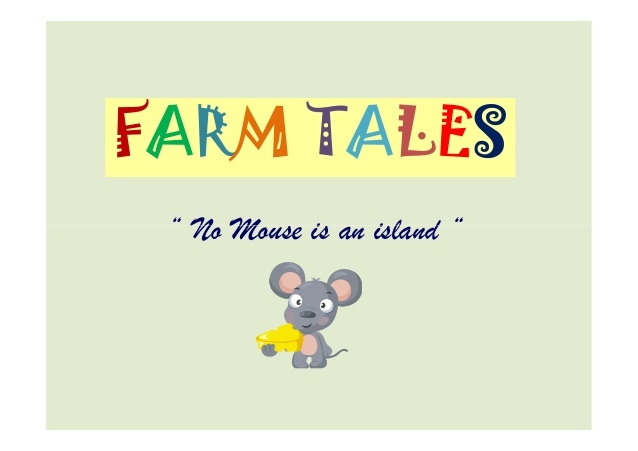 The hen, pig and cow actually told the mouse not to bother them with its flimsy problems. 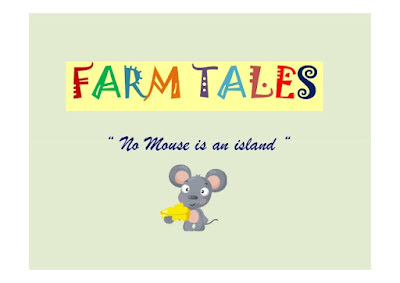 That very night, the trap clicked shut and the farmer’s wife went to discard the dead mouse. But in the darkness, she didn’t see that it is a venomous snake that is trapped and thus got bitten! Though the farmer administered her with first aid, she came down with a high fever. To help her recuperate, the farmer culled the hen at home and prepared chicken soup. Days passed, the lady didn’t recover and the farmer’s house was filled with kind and worried neighbours. Now, to feed them all as an expression of gratitude, the farmer butchered the pig and made stew. In spite of the doctor’s best efforts, the farmer’s wife succumbed. The cow was slaughtered for meat to feed all the guests at the funeral! The mouse survived and wondered how things would have been different had the barn cared about the mouse trap in the house. The connection became evident only when I came across the 40th Birthday discourse of Bhagawan Sri Sathya Sai Baba. Here is another story now. The little finger on the right hand got to know that the little toe on the left foot had suffered a crushing blow. It did not bother about the toe because, c’mon, why should that problem which was so far away affect the little finger? As time passed, the neglected toe grew from bad to worse. The injury got infected and, in fact, became gangrenous. The gangrene spread from the toe to the foot to the leg. Finally, the badly infected leg affected the body itself which died. When the body died, the little finger too suddenly found itself in the throes of death. Before it knew what was happening, it too died. That is the story of connectedness with an evident basis of connection. The story was inspired from Swami’s statement in His Birthday Message. School biology teaches us that a cell is the smallest structural and functional unit of life. Though it can function independently and has it’s own life cycle, it is always a part of a tissue. The tissue too has its unique function, purpose and existence but it always is part of an organ. Once again, the organ is an individual in every sense and yet, it is always a part of an organ system like the circulatory system, digestive system and so on. 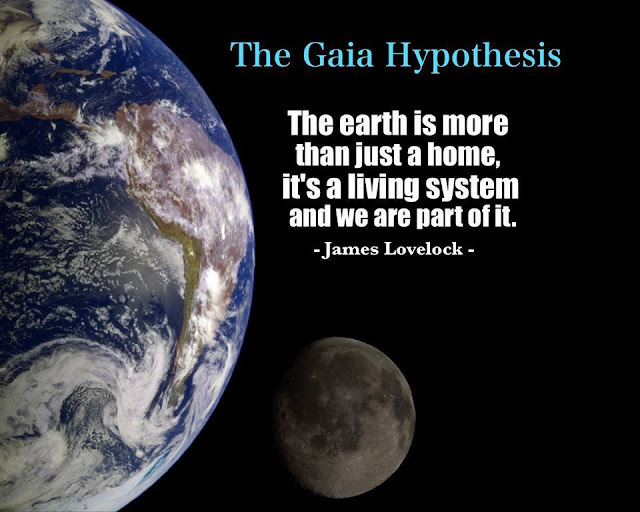 Even the systems are not completely independent because they come together harmoniously to form the organism. Here is puzzling question. Why do we assume that the organism is a completely independent unit? Going by how it is built, is it not logical that the organism is probably the ‘cell’ of the Universe? Swami had expounded this in a practical manner long before the actual theory was published in 1979. That gives us the basis of the connectedness. We are independent yet connected to each other the way cells in a body are! 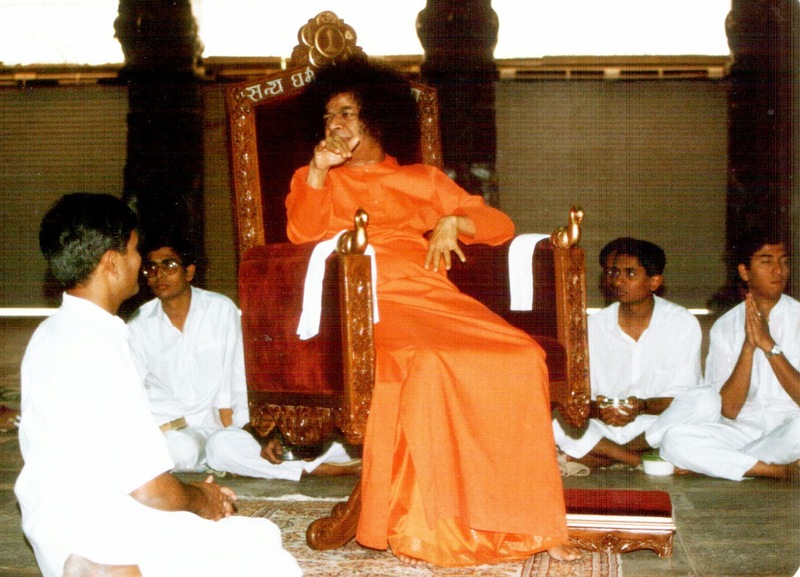 During His Divine Discourse on the 27th of April 1999, Swami dilated on the cosmic connection. “Though lakhs of years have passed since the advent of man on this earth, yet he does not know his real Self even today. The entire creation has divine origin, and the Creator is God. He willed: ‘Ekoham Bahusyam’ (I am One, let Me be Many), and the creation manifested by His Will. Srishti (creation) has its origin from Parameshti (supreme power). Samashti (society) is a limb of srishti. Similarly, Vyashti (individual) is a limb of Samashti. Without Srishti, Samashti has no existence, and without Samashti, there can be no Vyashti. This is a recurrent theme in many of His other discourses too. Among the many other implications that the message has, one thing becomes very clear - that serving the society and the environment is an absolute necessity for one to be spiritual or devoted to God. Not serving society or ignoring the environment calling them ‘worldly’ or ‘non-spiritual’ is ignorance and foolishness. It is akin to the little finger not being concerned about the palm or hand of which it is an integral part. If the little finger seeks to serve the body, it has to love and serve the palm and hand. If the devotee seeks to love God then society and nature too have to be loved and served. 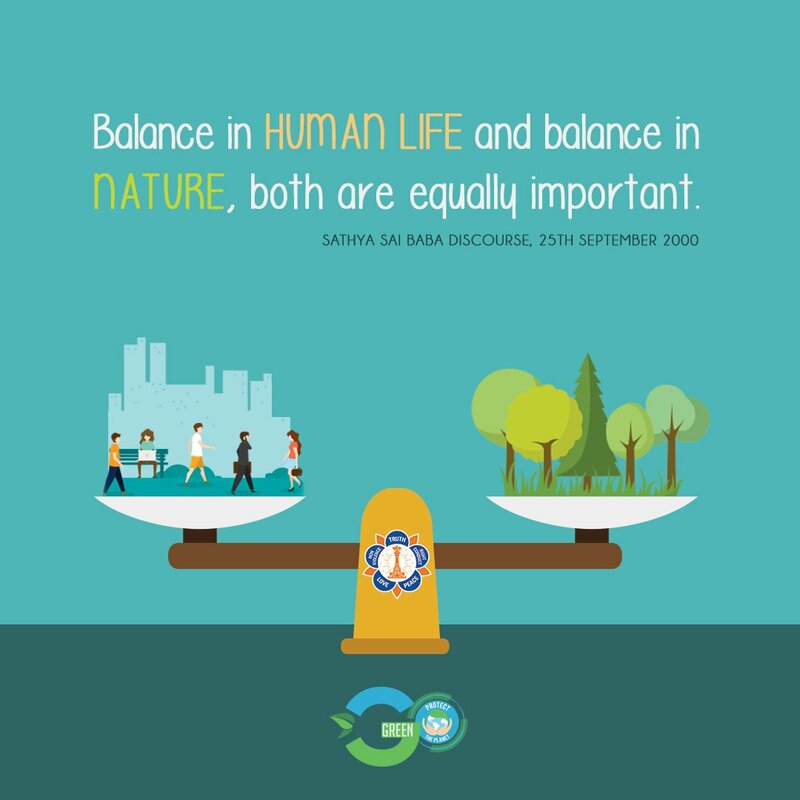 And that is why being spiritual requires us to be environment-friendly. That is why the Indian culture (and many other cultures too) worshipped nature as God. That is why it makes absolute sense for an ashram like Prasanthi Nilayam to hold an international Go-Green conference. 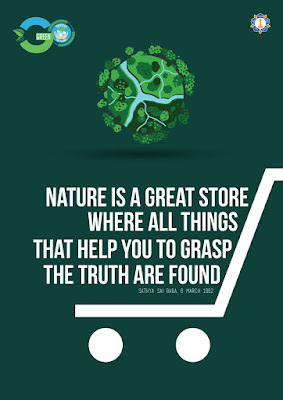 Let us protect and show love to Mother Earth and Father universe. Can we understand His words? 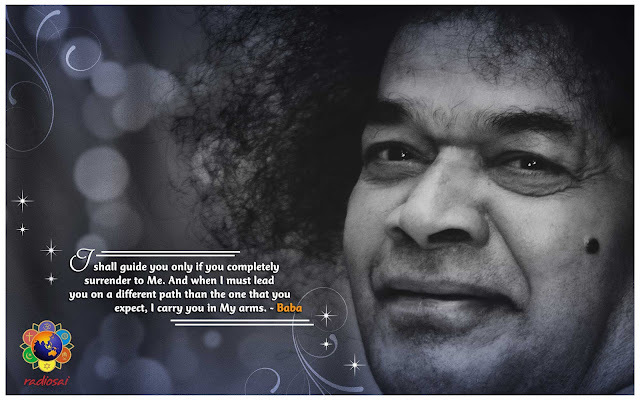 Bhagawan Sri Sathya Sai Baba left His physical frame on the 24th of April 2011. When that happened, there was widespread disbelief among the devotees. According to various public instances and references, Baba had said that He would be in His physical frame till 92, 94 or 96 years of age with the ‘96-years’ concept being the most popular version. How then, could He leave at 85? Thus, came the ‘theories’ of a second coming, a return to the physical of Bhagawan Baba. Then came the compilation - Sai, Thy Kingdom Come - by S.Narayan which brought together all the different things Bhagawan had said about the ‘length’ of His life. It presented evidence from the various scriptures, Nadis and the like while proposing a second coming. It also presented dreams and visions of different devotees that suggested Swami's second appearance as evidence. I must say, it felt really wonderful reading the same. The Mahasamadhi was a black swan event and it was chosen by the Avatar of the Age definitely to communicate several messages of wisdom to mankind. One of those, I firmly believe, is to prod us to start listening to and understanding His silence. Instead of doing that, if we start discussions and debates on when and how He will start 'talking' again, aren't we missing the whole point? According to him, Swami’s word defined the Vedic word and not the other way around. It was not the case of checking whether what Swami spoke was the truth or not for His speech defined the Truth. His first name, Sathya, means Truth and the Universe realigns itself to follow His every utterance. So, don't get me wrong. I am not disregarding even slightly the words spoken by Swami. What I am pondering is simply about our ability to understand those words. There is the story of a sage undertaking a penance for centuries in an attempt to understand the Vedas. At the end of it, he realizes that if the Vedas were the four mountains, his understanding has been equivalent to a grain of sand! These are metaphorical stories to indicate that when it comes to divinity, the intellect and the mind are grossly inadequate in imparting an understanding. That understanding lies in the realm which is beyond the mind and the intellect. The debate here is not about what Bhagawan said, but of our understanding of what He said. The drama ‘Daivam Manusha Roopena’ (presented by the 11th grade students on March 29, 2007) was on the life of Shirdi Baba. When the scene of Shirdi Baba leaving the body for three days came, Swami went into the interview room. There, He made a revelation that literally left the students, Divij Desai and Harish Krishan. dumbstruck. Everyone faces criticism. Even the Gods themselves are not spared of criticism. But then, how one faces the criticism determines what one becomes.That’s what the popular story of a donkey that fell in the well tells us. When the donkey fell in the well, it brayed out loud. To ‘bury’ the irritating sound, everyone came and threw mud into the well. The donkey however kept shrugging off the dirt from its body and did not allow itself to get buried under it. Finally, it made use of the mound of mud which had collected in the well to actually get out of the well! Criticism can be used constructively! In fact, ‘constructive criticism’ actually depends on the attitude of the one being criticised and not on the attitude of the one criticising. Swami, in that same discourse, gives a personal example to make it clear. Extrapolating the same logic, if the criticism is only partially true, one can accept (and correct if necessary) that part alone, letting go of the rest. Well, that sums it all up and highlights the truth that whether criticism is constructive or destructive depends on the attitude and sadhana of the one facing criticism. For many Sai-devotees (and I presume it is the case for devotees/followers of other Gurus/Masters as well), there is one criticism that is hard to overcome - the criticism of one’s Master/Guru/God/Religion. I remember how my blood has boiled whenever I have read heavily concocted and hastily written articles on my Swami by half-baked journalists whose sole goal seems to be capturing eyeballs at any cost. There are also some people on the internet (I will not name them and pollute my blog or the readers’ minds) who make ad-money and build a reputation for themselves by specifically targeting Swami using hook or crook (mostly crook). They doctor images, quote media out of context and spit venom camouflaging it as scientific journalism. And I get angry and upset. I can possibly learn to stand criticism when it concerns me but when a being that I have personally experienced for two decades to be an epitome of love, sacrifice and selflessness is unfairly criticised, righteous anger wells up within. It is almost like I am unable to bear it if someone unfairly abuses my father or mother! What should I do then? Prof. Nanjundaiah’s experience with Swami regarding this is very enlightening and liberating. He rose after the fall as though nothing had happened. It was 3 days later that the actual damage was made public. "Jesus Christ, the saviour, bled to save mankind from its sins." I have heard this story many times when I studied in a Christian school as a child. Though I knew the story by heart, it never touched my heart because it remained only in the realms of the head. I understood the meaning and significance of Christ bleeding for His children when I experienced the supreme love behind such an act on the 11th of January, 1999. That is a day etched in my heart coupled with mixed emotions. It is a day whose memory makes me smile and cry at the same time. It is a day when my dear Swami, my God and Master Bhagawan Sri Sathya Sai Baba, bled so that one college student could be safe and all the students of the educational institutions could be happy! I had joined as a student of the XI class in 1998 and I was very excited about participating in my first ever Sports and Cultural Meet of the Sri Sathya Sai Institutions. Each passing day, my relationship with Swami was growing in different dimensions. Ever since that first memorable experience where He accepted my love, I looked forward to each day for events to add to my experience-bank with Him. The Annual Sports and Cultural Meet is a time when the students from all the different campuses of the Institute - the Prasanthi Nilayam Campus and Puttaparthi, the Brindavan campus at Bangalore and the women’s campus at Anantapur - and the schools at Puttaparthi - Primary school and Higher secondary school - join together in a mass effort to please their dear Swami with a display of physical prowess and mental magnificence. The significance of the timing of the Sports Meet, 11th January, is very profound. It is the time of the Uttarayana or the northward movement of the sun. This is considered as a very auspicious time for contemplating on the Lord and it is said that such contemplation leads to oneness with the Lord. In fact, the grandsire in the Mahabharatha, Bheeshma, who had a boon that he could die only when he willed, decided to do so in this period of the Uttarayana. For the students studying in Swami’s schools, thinking of the Lord becomes an automatic affair as they plan and prepare in full gusto for the Sports Meet. As Sami puts it, this is a time when the students bend the body in an attempt to mend the mind and end the senses. "This body has come for the sake of devotees and shall be utilised for doing anything and everything for their welfare." I remember that day very vividly. 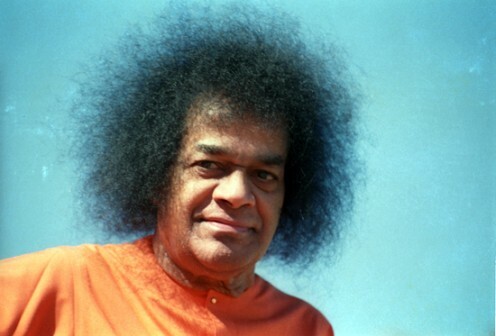 As soon as Swami arrived at the Sri Sathya Sai Vidyagiri stadium, a beautiful music theme filled the stadium. (This was a theme song from a famous movie that had been just released then.) I was seated near the Shanti Vedika, the stage on which Swami would ascend. When Swami’s chariot entered the ground, 150 metres away from the Shanti Vedika, I could feel the electric waves of excitement flowing through the atmosphere. 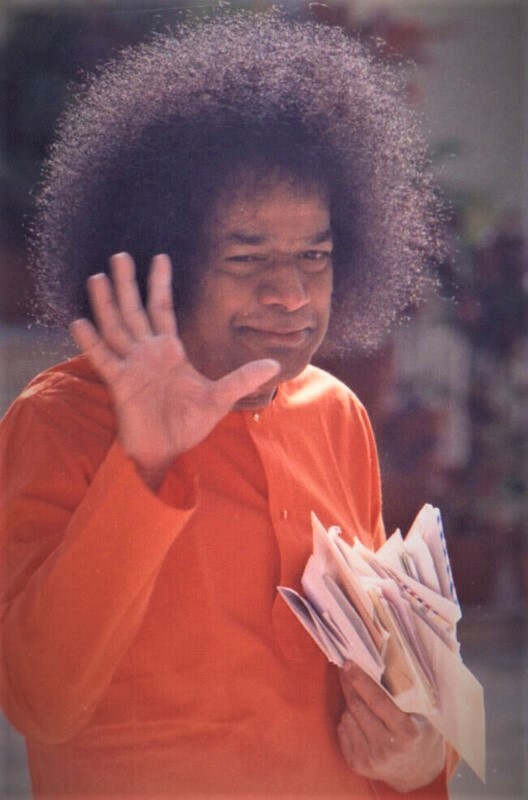 For the followers of Bhagawan Sri Sathya Sai Baba, the 24th of April 2011 marks the end of an era and (naturally so), the beginning of another. It is a day on which everything changed forever because the Swami that they so dearly loved discarded the lovely form that He had donned for nearly 86 years. Having painstakingly taught them for decades that He would always be in them, around them, beside them and with them, He decided that it was the time for the practical examination. When my mind goes back to the period after that, it just becomes numb. It is hard to remember anything 'memorable' after that 24th. Yet, His word can never fail. It is possibly with this faith or maybe hope that I stay on, doing the things that I feel will please my Swami. It is this faith (or hope) that keeps the millions of His devotees going. Lucky are those with that hope; luckier still are those with that faith. But for those like me, who have bouts of doubts and sadness at missing His lovely form, here are a couple of stories that Swami would narrate which give us a solution and thus solace. It was the 22nd of August, 2011 - the first Krishnashtami (birthday of Lord Krishna) that we would be celebrating at Prasanthi Nilayam in the physical absence of Swami. I suddenly felt a pinch of emptiness in my heart. My mind raced to the years before when He would feed the animals so lovingly. It especially raced to the the most memorable Krishna Janmashtami of my life when Swami showed me that though He seems to be absent, He knows everything that goes on everywhere and at every time! And soon, there were tears in my eyes. This is the irony of life - we laugh remembering the moments we have cried in the past and we cry remembering the moments that we have laughed and been happy in the past! I closed my eyes visualising that beautiful form of Swami. It was so hard to stop the tears. Possibly in a bid to bring some solace to my heart, I began chanting His name - the Sai Gayatri. The solace actually came! Why would it not? Hadn't Swami Himself promised it? Here is the story that He would often narrate to emphasize on remembrance of the Lord's name. It is popularly known as Krishna Tulabhaaram.